DALLAS -- Dallas' mayor says two bodies have been found in a local home, including the body of a person suspected of shooting a paramedic. A gunman opened fire on an emergency medical technician vehicle, critically injuring a paramedic with the Dallas Fire-Rescue Department on Monday, according to a statement from the city's police department. Officers responding to the scene were pinned down, according to a tweet from the Dallas Police Association, the union representing local officers. Though the union initially reported that a firefighter was shot, the Dallas Fire-Rescue Department later said it was a paramedic. The paramedic is in critical condition and is undergoing surgery at Baylor University Medical Center, police said. Police were closing roads near the intersection of Dolphin Street and Interstate 30, calling the area an "active scene" as of about 12:45 p.m. local time (1:45 p.m. ET). "Confirming 1 paramedic shot while responding to a call. No detail at this time. Thoughts and prayers are with all impacted," read a tweet from Dallas Fire-Rescue. 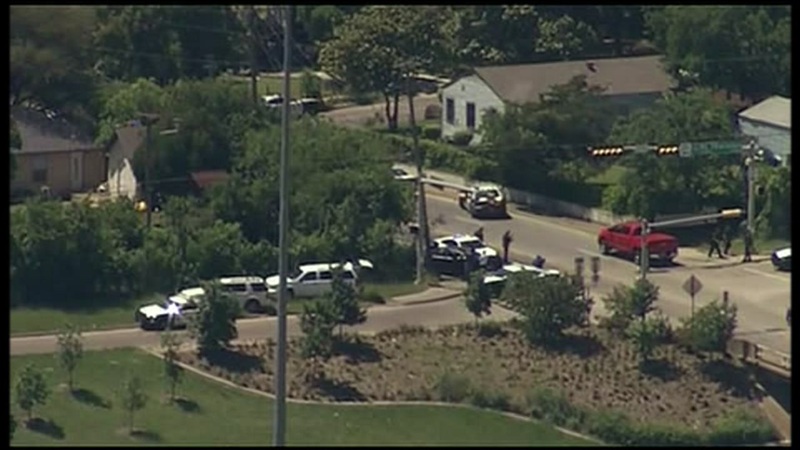 The shooting happened near the Dallas Fire-Rescue's Dodd J. Miller Training Center, local affiliates reported. The center is located about a quarter-mile south of Interstate 30. According to CNN affiliate KTBT, police and SWAT teams are seeking a bald man who may have a limp. He's believed to be wearing jeans and a dark green shirt, and he may have a rifle. The injured paramedic was transported to a hospital, Dallas police told KTVT.